Two men and a minor were arrested on Sunday night for threatening to kill expatriate waiters and damaging property at the Hotel Memorial café in Malé. Police said the suspects, aged 25, 19, and 15, were taken into custody around 12:30am. Both men had criminal records for assault, and the 25-year-old had been arrested four times with two cases forwarded for prosecution, police said in a statement. The 19-year-old had been arrested three times and the 15-year-old twice, it added. On March 22, a 25-year old Bangladeshi national, Shaheen Mia, was stabbed to death in a Malé café in the southwestern harbour. The Inter-Parliamentary Union will send an urgent mission to the Maldives during the upcoming months to investigate death threats, attacks and arrests of MPs in the country. The union, which represents parliaments around the world, said they are investigating reports that 30 former and current MPs have been victims of human rights abuses, including one MP who was murdered and another who was stabbed. After the 132nd Inter-Parliamentary Union (IPU) assembly this week in Hanoi, the organization said political polarisation and heightened tensions in the Maldives “necessitated an urgent on-site mission” by the IPU’s human rights wing to gather first-hand information. “The organisation is deeply concerned by the serious and repeated death threats allegedly made against opposition MPs in the Maldives since last year,” an IPU statement said. Tensions are high across the country after the conviction of former President Mohamed Nasheed on terrorism charges this month, with opposition parties holding daily protests. IPU also called on law enforcement agencies to show restraint, and to abide by international and national human rights laws and standards when handling protests. Meanwhile, the opposition Maldivian Democratic Party (MDP) complains that the speaker of parliament has been excluding the party from the Maldives’ delegations to IPU. Mohamed Rasheed, secretary general of the MDP parliamentary group, said the delegation is selected in a “petty” manner without including the main opposition party. One MDP MP was present in Hanoi, but fellow members of his party said that he was “hand-picked”, whereas in the past, the party has sent two MPs of its choice. Eva Abdulla, an MDP parliamentarian, has been excluded from recent delegations despite being an elected representative for all female South Asian MPs at the IPU. Eva told Minivan News that opposition lawmakers have been receiving death threats “every other day” since the disappearance of Minivan News journalist Ahmed Rilwan last August. Rilwan has still not been found. She said opposition MPs have been receiving phone calls and text messages, and sometimes stalked. “We filed complaints at the police and with the Majlis itself. However the speaker has not even condemned the threats in public or privately,” she said. Threats against opposition parliamentarians have caused the IPU to classify the Maldives as one of the most dangerous countries to be an MP, noted Eva. Several opposition MPs have been arrested at anti-government protests. Most recently, MP Ahmed Mahloof, formerly of the ruling Progressive Party of Maldives, was arrested at a protest last week and detained for five days. When his detention ended, the criminal court placed him on further five days of house arrest after he refused the court’s condition to not participate in further protests for 60 days. Similarly, MDP MP Ismail Fayyaz was given 15 days’ detention after he refused to accept release under the same conditions. Eva said police had been slow to investigate a forced entry into Mahloof’s apartment last month, although they were handed CCTV footage of the incident. The IPU’s list of Maldivian cases includes that of the late PPM MP Dr Afrasheem Ali, who was murdered outside of his home in October 2012, and the stabbing last year of MP Alhan Fahmy, who narrowly avoided paralysis as a result. PPM MPs and the speaker of parliament had not responded to requests for comment at the time of going to press. President Abdulla Yameen has warned of adverse impacts on tourism from threats against tourists and urged Maldivians to leave aside political differences to assure a safe and secure environment for investors and tourists alike. Yameen’s statement comes in the aftermath of a death threat issued against Jamaican dancehall artist Sean Paul who is scheduled to perform in Malé on New Year’s Eve. “Even if such incidences do not actually disrupt the peace, if [guests] believe there is any danger, if they believe there is a threat, we are in effect pouring water into a bottomless container,” Yameen said in a speech in Addu City last night. The President’s Office yesterday said that the online death threat against Sean Paul was a “local hoax” aimed at damaging the country’s reputation. An investigation has revealed the threat is “designed to dissuade visitors, create an atmosphere of fear” and aimed “at tarnishing the longstanding reputation of the Maldives as a destination of peace, security, and tranquility,” the President’s Office said. The video, which has since been removed, promised Sean Paul that “the world will see your burnt and blood drenched dead body,” should he perform in the Maldives. Representatives of the singer are reported to be undecided about whether the performance is to go ahead. The tourism ministry’s statistics have meanwhile revealed a 5.1 percent decline in tourist arrivals in November compared to the same month last year. However, the Maldives welcomed 1.1 million arrivals by November’s end due to a strong growth in arrivals in the first half of the year. The figure amounts to a 7.9 percent increase in arrivals compared to 2013. President Yameen said the government aims to bring the world’s wealthy to the Maldives and said Maldivians must find common ground with the government despite differences in political ideologies. “With utmost sincerity, I note it will not be the same leaders ruling the country. Today it is me. Tomorrow it will be someone else. But Maldivians will continue to live on this land. This land must be peaceful,” he said. Maldivians must not allow foreigners the opportunity to influence the country’s internal affairs, he continued. “We must not call on foreign militants to come to the Maldives claiming the situation is bad in the Maldives,” he said. The opposition Maldivian Democratic Party (MDP) has expressed concern over declining tourist arrivals at the onset of the peak tourist season in the Maldives, blaming the government for lack of a clear policy on tourism and ad-hoc decisions to levy additional tourism taxes. Noting a seven percent decline in arrivals from European Union, a 22 percent decline from Eastern Europe, four percent from the United Kingdom, 24 percent from France, three percent from Italy, and a 13 percent decline from India in November, opposition leader and former President Mohamed Nasheed in a tweet said “the government’s policy will damage the industry”. Tourists from the European Union made up 43.3 percent of arrivals while Chinese tourists made up 31.4 percent of arrivals. Russian arrivals declined by 31 percent this year due to the economic downturn in the country. The Maldivian Democratic Party (MDP) has slammed Home Minister Umar Naseer’s “irresponsible” remarks concerning the disappearance of Minivan News journalist Ahmed Rilwan and death threats sent to journalists and politicians. In a press release yesterday, the main opposition party referred to Naseer having stated at a press conference on Thursday (November 6) that it was too early to determine whether Rilwan was kidnapped, abducted, or missing. Naseer’s remarks were an example of his “incompetence and irresponsibility,” the press release stated. Moreover, police arrested four suspects in relation to Rilwan’s alleged abduction, of which one suspect has been held in remand detention for nearly six weeks. During Thursday’s press conference, Naseer compared Rilwan’s case with the assassination of American President John F. Kennedy in 1963. “Not every crime is solvable. And when a crime remains unsolved, it does not mean police were negligent. We are doing all we can in Rilwan’s case. We will not leave any stone unturned,” the home minister told reporters. Rilwan has been missing for 92 days and is believed to have been abducted at knifepoint outside his apartment at 2am on August 8. Naseer also criticised the opposition for prematurely concluding that Rilwan was abducted. Rilwan’s family have meanwhile accused the police of negligence and filed a complaint with the Police Integrity Commission,which is currently being investigated. “If the abduction had been investigated immediately at the right time, the police would have been able to find the victim and clarify if it is our brother or not,” Rilwan’s sister Mariyam Fazna told the press earlier this month. Despite eyewitnesses having reported the abduction at knifepoint at 2am on August 8, police only took their statements on August 14, the family noted. The police had also failed to track down and search the car used in the abduction. The police only searched Rilwan’s apartment 29 hours after the abduction was reported and searched his office 11 days afterwards. The police also failed to make a public announcement on Rilwan’s disappearance – despite a request by the family – and did not inform the public on how to act if they had any information related to the case, the family explained further. The People’s Majlis last week threw out a 5,055 signature petition urging MPs to pressure police for a through and speedy investigation. The parliament secretariat later admitted the rejection was “a mistake,” according to MP Imthiyaz Fahmy who sponsored the petition. In September, human rights NGO Maldivian Democracy Network released an investigation report implicating radicalised gangs in Rilwan’s disappearance. The MDP press statement also condemned Naseer’s response to a question regarding death threats sent via unlisted or private numbers to journalists and opposition politicians. Naseer made a “joke” out of the death threats and claimed recipients were not intimidated or scared, the party contended. The home minister, however, was surrounded by bodyguards provided by the state and had requested pistols earlier this year, the press release added. Naseer had claimed that the opposition was using the death threats for political gain. Last week, MDN urged police to expedite investigations of death threats and provide security to journalists while Amnesty International demanded police intensify their efforts to find those responsible for the numerous death threats and violent attacks against journalists. After meeting with the IPU earlier last month, union member and MDP MP Eva Abdulla raised concerns over the personal safety of MPs and journalists in the Maldives. Meanwhile, the MDP also expressed concern with the prevailing atmosphere of fear in the country with serial stabbings, violent assaults, drug trafficking, and death threats. The party contended that the government was failing to prosecute perpetrators who commit crimes in “broad daylight”. Naseer’s remarks were prompted by his inability to establish domestic peace and security, the party argued. “The MDP calls on Home Minister Umar Naseer to not make such irresponsible statements and to fulfil the responsibilities of his post,” the press release stated. Government and opposition figures have continued to trade accusations this week after the attacks on the Maldivian Democratic Party (MDP) in Addu last weekend. Speaking at a public ceremony today, Tourism Minister and Progressive Party of Maldives Vice President Ahmed Adeeb claimed that the opposition leadership was “torching buildings and inciting violence”, reported local media. President’s Office Spokesperson Ibrahim Muaz has also been accused of suggesting the attacks were coordinated by the MDP, prompting an angry response from Addu’s MDP leadership. Muaz, who was not responding to calls at the time of press, is reported in local media as saying that creating unrest is unacceptable and that damaging property is not the way to win the love of the public. Friday’s MDP rally in Feydhoo was attacked by masked men before its headquarters in Hithadhoo were set on fire. The incidents followed a series of arson attacks on the party’s offices and the homes of its member, who have also received persistent death threats. In a press statement on Monday (October 13), president of the MDP’s Addu City branch, Ahmed Adhuham, condemned Muaz’s allegations, calling them irresponsible and unacceptable coming from the President’s Office. Meanwhile, MDP chairperson Ali Waheed said in a press conference today that the MDP feels the Home Ministry, alongside Maldives Police Service (MPS), is not doing enough to ensure the protection of the party after the clear threats received. “We have received numerous threats and all of these threats have been reported to the relevant authorities however we have received a letter from the MPS stating that some of the cases relating threats against MDP have been filed without any investigation,” said Waheed. Waheed also claimed that the attacks are being carried out by a third party which helped the government come to power but is now stronger than the government. “I do not believe that a government – which has not been able to implement a single project benefiting the public while having majority in the parliament – would have the need to interfere and attack MDP rallies,” said Waheed. The MDP has filed cases with independent commissions including Police Integrity Commission, the Human Rights Commission of the Maldives, and the Elections Commission. Waheed said the party would not hesitate to involve foreign bodies if the threats were not adequately addressed by the MPS and Home Ministry. The MDP rally in Feydhoo last week was attacked by a group of masked individuals wielding wooden planks and rocks. 16 people were arrested before being released, with police citing a lack of evidence. The ruling PPM was quick to condemn the attack, expressing concern that “such acts that harm political parties, public property, and lives”. “All parties should have the opportunity to carry out political activities peacefully,” read a PPM press release. Speaking in Fuvahmulah the day after the Addu attacks (October 11), MDP leader Mohamed Nasheed accused the PPM or senior government figures of being behind the attack. 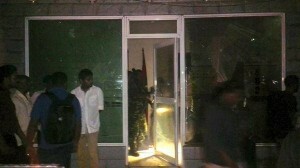 Nasheed’s residence in Addu was pelted with stones the following night. 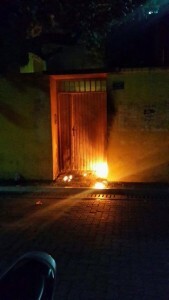 The party’s main office in Malé was set on fire on September 25 after attacks on the two previous nights. Attempts were also made to set MDP parliament member Hamid Abdul Ghafoor’s house on fire. MDP members and their families have received a large number of death threats from private numbers, with party spokesperson Imthiyaz Fahmy telling Minivan News last month that the threats had become too frequent to publicise adequately. On October 5, Nasheed lodged a complaint at the UK Metropolitan Police Service regarding death threats he received while attending the Conservative Party conference. 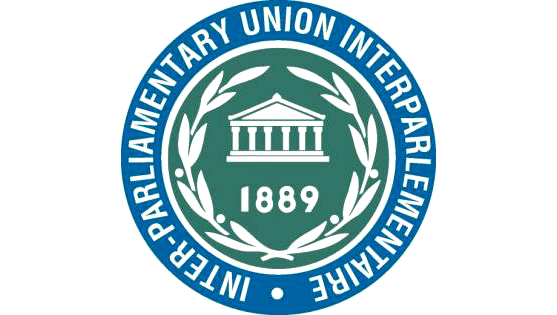 The Inter-Parliamentary Union has previously described the government’s reaction to threats against elected officials as a test of the country’s democracy. During a rally held last month in Malé, MDP MP and IPU member Eva Abdulla received a message threatening a suicide attack at the next MDP gathering. The message threatened to kill of MDP members, vowing to ‘fight to the last drop of blood’. Waheed revealed at the press conference that an MDP rally will be held on October 25 at the carnival area in Malé, saying that MDP will not back down in the face of such threats. 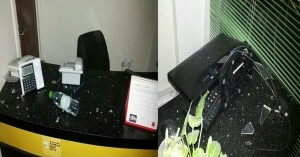 The opposition Maldivian Democratic Party’s (MDP) main office on Sosun Magu in the capital Malé was vandalised last night. A group of people on motorbikes reportedly threw large stones at the office around midnight, smashing the outer windows. Equipment at the reception area was also damaged. On Monday, the main opposition party asked police to investigate death threats made against its MPs and senior members, who the party said were also being followed. MDP MP Imthiyaz Fahmy told Minivan News earlier this week that death threats have become too commonplace to publicise each incident.